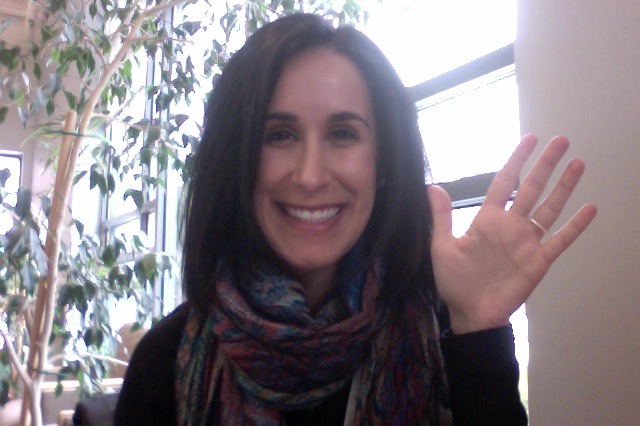 Hello, wonderful and fabulous teachers, aids, paraprofessionals, and co-therapists! Also, my song source resource blog — Allegro Harmonies — is currently in the process of being re-structured and re-located, so you’ll notice I haven’t uploaded as many materials recently… However, everything that’s up on the blog is still 100% available, so feel free to use anything that may be of use to you! As always, if you have any topic or content request for song materials, feel free to shoot me an e-mail at noa@spectrumcreativearts.org. I try to lend a hand to as many of my fellow professionals in the schools as I can!! Not only am I [finally] publishing another post here on Helping Harmonies, but I am also writing with the intention to share some AWESOME news! I am proud to announce my arrival into the realm of company ownership with the establishment of Spectrum Creative Arts, LLC! Spectrum is the product of a partnership between Megan Resig of Rochester Music Therapy Services, and Wade Richards of Time for Music, and myself, and we could not be more excited! Spectrum Creative Arts, LLC was created out of a shared desire to provide creative arts services to the community in a clinic setting. Spectrum’s concept initially incorporated music therapy as the primary service modality, being that its creators are music therapists. However, with the combination of our personalities, [fantastically] wild imaginations, and insatiable passion for the arts, that vision was bound to change… and indeed, it has. The product of our unique attributes and skill sets has resulted in the creation of a center that proudly offers members of the Rochester, New York community high quality music therapy, music instruction, art therapy, and art instruction services. Now, I could go on and on and… on about Spectrum, if given the chance. In the interest of utilizing everyone’s time most effectively, I will leave you with our web address and numerous social media affiliations. My hope is that you will visit Spectrum’s beautiful website (thank you, Megan!) and feel the passion that we have instilled in the construction of Spectrum radiate throughout your mind and body. Or, you can peruse the website and share your thoughts! Whichever works best for you. Happy website surfing to you, and a heartfelt thank you for taking the time to share in our wonderful news. I spend the majority of my work week providing music therapy services in school settings. 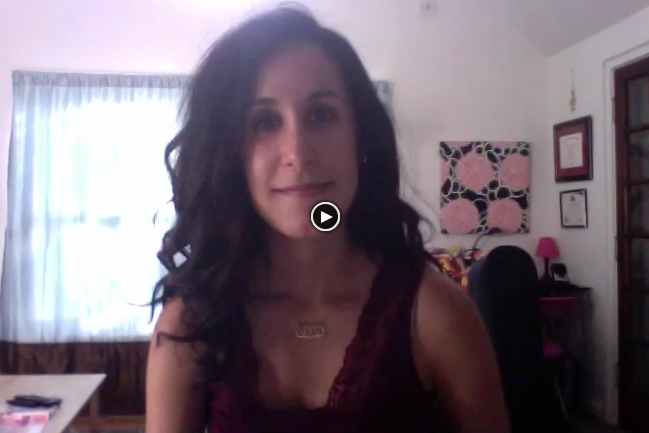 This video captures one of the many incredible moments I get to be a part of each day as a music therapist. Lyrics and music for “Goodbye Snow, Hello Spring!” were written by Taylor with support from her music therapist, Noa Elimelech, MS, MT-BC. Leave it up to me to save my writing for Social Media Advocacy Month up until the second to last day of the month! Sheesh, Noa. This month has been exceptionally busy. I mentioned in my last post that I am in the process of jumpstarting a brand new business venture with a colleague and close friend, which is very exciting but has been a bit all-consuming (in a great way!) At the same time, I’m providing services for my 2 school contracts that have been growing SO quickly! I am truly blessed. The majority of my music making takes place in schools: 2 districts and 5 buildings, to be exact. So when I’m carrying my guitar, instrument bag, and messenger back, I beeline for my final destination: “my” room. As a contractor, my presence in each of these buildings is short-term, and has adopted a nomadic feel at times. There have been several occasions during which I arrive at “my” space and learn that it is unavailable during my regularly scheduled, weekly session time. As music therapists, it is crucial to be flexible and able to improvise and function “in-the-moment,” but I’ll be the first to admit that it’s hard to be all of those different things when you just want to set your millions of bags down and get into the music. In an ideal circumstance, an alternate room is secured, and a session can begin only a few minutes delayed. In a typical circumstance, a free space is found 5-10 minutes into a 30-minute session, and at times followed by complaints from neighboring tenants that “the music is too loud,” or that faculty were not aware that I would be making “actual” music. In my experience, special education committee members and treatment team staff view music therapy in the school settings as a valuable service. As a music therapist in the school setting, my role is to supplement to existing treatment and educational modalities, using music-based interventions to assist students in achieving existing academic and personal goals. I consult with teachers and specialists on a daily basis to ensure that we are all on the same page, and utilize shared strategies and orientations to provide optimal aid in the accomplishment of said goals. Referrals and evaluation requests for services are set into motion by the majority of the school’s population: parents, teachers, and/or school psychologists. Music therapy seems to be establishing a presence in the treatment sect of the school community, so how can we make that presence more widely known? …I wish I had the answer! I can speak only from the methods that have been effective in my own experience. My best advice would be to do anything you can to make yourself known. I attend as many treatment team and staffing meetings as possible, email my teachers daily to check-in and follow up about academic content, poke by classrooms just to say hello, and get my students as involved as possible in their classroom environment and beyond! A great opportunity to spread awareness about music therapy came about last year when two of my students performed in their school talent show. Parents, teachers, and students were so excited to watch and experience the musical talents of my students, and it was a magical night all around. My students rocked so hard that we made it onto the front page of the local newspaper, with the caption reading “…with Miss Noa Elimelech, their music therapist.” I was ELATED. I could go on and on about how incredibly gifted all of my students are [because they’re awesome!! ], but I will save all of that for another day. I want to leave you with the message that I know that music therapy is valued as a treatment modality, but I think we can only continue to be on the up-and-up by advocating for our career path. Yes, we make music for a living; but we are specialists, trained therapists, and deserving of requesting a space of our own — even if just for 30 minutes at a time. In between sessions, take an extra minute to talk to a teacher or parent about music therapy, and inspire them to take interest in learning more. Our voices are vehicles for positive change with our clients and with the world surrounding our music. 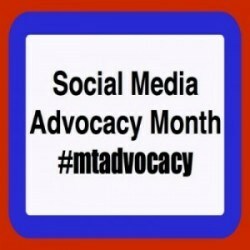 Check out additional articles and resources pertaining to Music Therapy Social Media Advocacy month on Twitter (#mtadvocacy), the American Music Therapy Association website, or the Certification Board for Music Therapists Facebook page. It’s a New Year… 2013! Wow – 2013 is already here. How did that happen?! I could have sworn New Year’s Eve 2012 was just a few days ago… But looking back, I guess a year really has gone by! Let’s see: I signed the paperwork and officially “opened” my small music therapy DBA in October 2011, started working 1-2 days a week in one school district, launched a music therapy resource blog, bought my first car, joined the music therapy social media world (Why hello, dearest Twitter), appeared in a local newspaper for accompanying clients in their school talent show (Woohoo!!! ), acquired a second school district contract, worked 3.5 packed days a week……. and that brings us right up to the present. Holy mackerel! I am proud to share that life in January 2013 and beyond will continue to be busy, busy, busy – just the way I like it. Presently, I am in the process of joining forces with another local music therapist to create, co-own, and operate a PLLC (professional limited liability company) offering music therapy and creative arts services to the Rochester community. We are currently working through the exhilarating paperwork phase of the process, as New York State boasts quite a few laws / rules & regulations for professionals in our line of work, but are incredibly excited to begin this huge professional venture together. Check back soon for those details and more! I can’t wait to share them with you!! In the meantime, stay happy and healthy! Today, I had – what some may call – a “revelation.” A situation I recently encountered got me to thinking about the importance of advocacy through education in the field of Music Therapy. I think, or rather KNOW that there is still so much more that I can do to advance the field of music therapy… exchanging information casually over the phone and relaying numbers or statistics in impromptu conversations can only get “us” so far. As music therapists, we need to be initiating more in-services/public speaking opportunities for persons/professionals in related AND non-related fields alike to increase awareness about the work that we do. I am really inspired by the importance of this cause… so much so that I would like to formally create an advocacy group that seeks to bring about change through education. I have put the word out to music therapists in the Rochester area via social media outlets (Facebook, Twitter), and am hoping to hear back from some fellow therapists soon! Helping Harmonies is also in the process of creating “extra-curricular”-type programming outside of the school setting for children and adults in the Wayne County area. This is a collaborative effort with great friends and fellow therapists in the Rochester area. Stay tuned for more details! Hey, everyone! Helping Harmonies is now on YouTube! The Blue Ridge Theater group, organized and directed by music therapist Wade Richards of Blue Ridge Music Therapy Center, is putting on a production of Twinderella, a comedic spin-off of the popular fairytale Cinderella. Because Wade is a personal friend of mine, and knows my sense of humor quite well, he so kindly offered me the role of Fairy Godmother in early February. Needless to say, I jumped at the opportunity to participate, and had a good laugh after reading through the script. In any case, the one and only performance of Twinderella is……….. TOMORROW NIGHT!!! I can’t believe May is already coming to a close! For those of you who live in the Rochester area, definitely consider spending your Friday night with The Blue Ridge Theater Group — I can guarantee you a good laugh or two! Information and details for Twinderella can be found below. I hope to see you there! Today, a good friend of Helping Harmonies and Director of Communications for the Rochester Red Wings Baseball team, Mark Rogoff, announced his support for Helping Harmonies Music Therapy during Baseball Month in the city of Rochester, NY! It is such an honor to be recognized by such a strong presence in the Rochester community, and I truly cannot thank Mark and the Red Wings enough for choosing to support Helping Harmonies and the work of Music Therapists across the country. Thank you, thank you, thank you!!! >> Read the press release here! Red Wings fans: While attending a Red Wings game during the month of May, be sure to look for the tables in the main breezeway behind home plate and locate Mark Rogoff and the Helping Harmonies Music Therapy collection bins! Your awareness and support are welcomed and deeply appreciated! I am pleased to announce that Helping Harmonies Music Therapy will be providing part-time services at The Trinity Assistance Corporation‘s Blue Ridge Music Therapy Center in Rochester, NY! 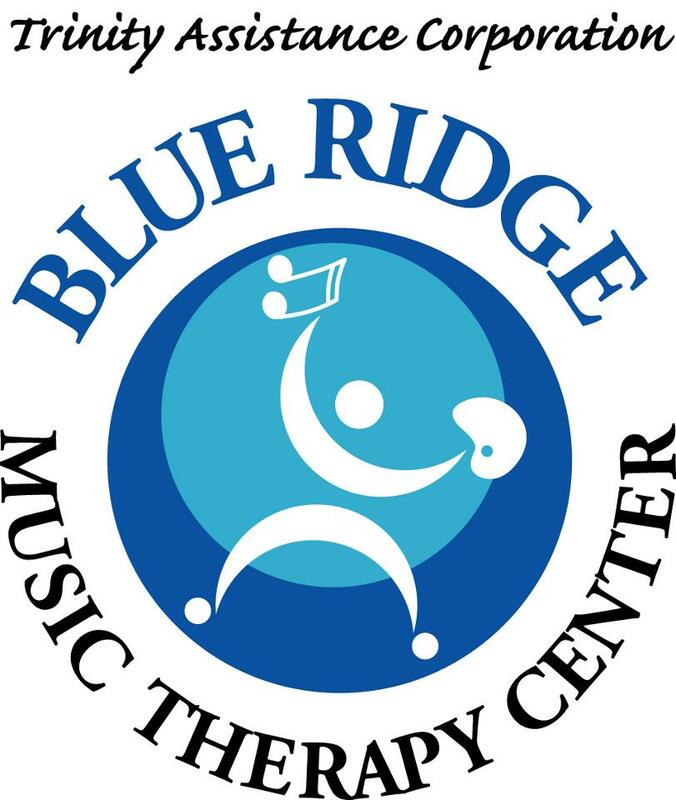 Blue Ridge Music Therapy Center was launched in July 2011. Program Director Wade Richards, LCAT, NMT, MT-BC, brings over 16 years of experience as a music therapist to the program. 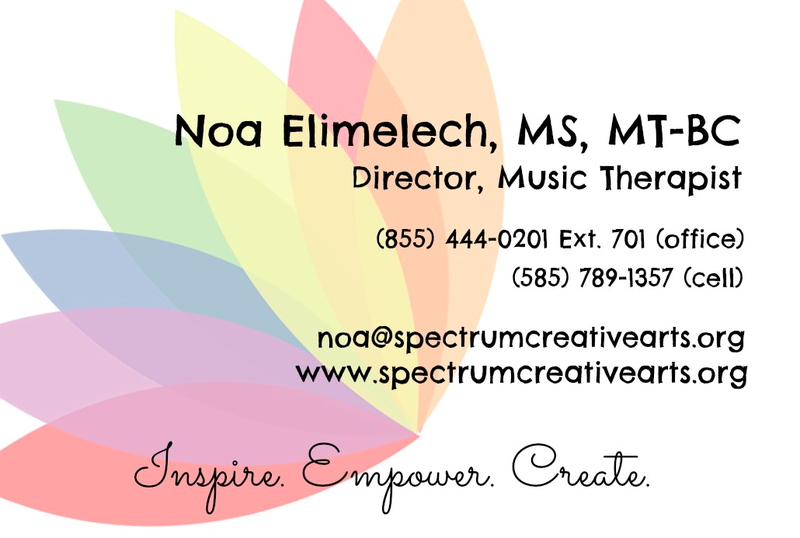 Noa Elimelech, MS, MT-BC of Helping Harmonies Music Therapy will be working alongside therapists Lindsey Oliver, MT-BC and Molly Phillips, MT-BC. I am excited by the opportunity to share a space with such talented and accomplished individuals! Cheers to the future!